This article is part of a series being penned by Farai Nyandoro – Kunzvi, a Zimbabwean digital forensics specialist based in South Africa. The series seeks to raise awareness on the digital forensics issues, as well as the fraternity and its importance. Information and communication technologies (ICTs) are now considered the cornerstone of every economy, transforming the way business is done while significantly impacting governments and communities. ICTs have contributed to the rapid development and reformation of economies while enhancing productivity and remodelling the flow of capital. This swift growth and increased dependency on ICTs impelled the emergence of a new form of crime termed cybercrime. Cybercrime is “regarded as conduct proscribed by legislation and or jurisprudence that entails the use of digital technologies in the commission of the offence; is directed at computing and communications technologies themselves; or involves the incidental use of computers with respect to the commission of other crimes ”[source]. African nations and their respective economies have not been spared from the wrath of the cyber-criminal. The rapid unabated internet penetration, proliferation of digital devices, and greater dependency on ICTs for daily functions have resulted in cyber-criminals leveraging on the perceived anonymity on the internet, and the ubiquity of digital devices in the commission of traditional crimes in new ways. At present, the legal frameworks existent in most African countries are incapable of effectively addressing cybercrime and its effects. The lack of effective laws, increased digital device penetration and low digital literacy rates make Africa an attractive destination for cyber-criminals. As determined by the United Nations Office on Drugs and Crime, “the increasing density of ICTs also increases the frequency of domestic computer-related crime, which requires states to establish pertinent domestic legislation”. It must be noted that the enactment of statutes capable of addressing the cyber-crime scourge is largely dependent on the level to which digital crime is placed on the political agenda of any given nation. The failure by African governments to enact pertinent laws has resulted in Africa becoming a safe haven for digital criminals [source]. Recently, the United Nations Economic Commission for Africa (UNECA) proposed a legal framework consisting of an e-legislation protocol that would “ensure cyber security on the continent and provide ways of monitoring, arresting and prosecuting illegal online activities and perpetrators” this cannot become a reality in the absence of requisite skills. Given the above background, and the fact that “data is now considered more valuable than money , once spent, money is gone, but data can be used and reused to produce more money”, it is evident that there is a need for professionals with the technical and legal competence necessary to employ a “methodical series of techniques and procedures for gathering evidence, from computing equipment, various storage devices and digital media, that can be presented in a court of law in a coherent and meaningful format” [source]. These professionals are called digital forensics professionals. The Oxford Concise Dictionary defines forensics as “of or relating to courts of law”. The very essence of forensics is law; the existence of applicable laws is thus an overarching prerequisite in all matters relating to forensics. Digital forensics is recognised as a forensic science by the American Society of Crime Laboratory Directors-Laboratory Accreditation Board (ASCLD/LAB). A forensics science is defined as “relating to or denoting the application of scientific methods to the investigation of crime”. Like all other forensic science disciplines, digital forensics uses repeatable scientific procedures in the investigation of crimes with a view of presenting the evidentiary outcomes to a court of law. Marcella & Menendez, define digital forensics as “the use of scientifically derived and proven methods toward the identification, collection, analysis, validation, interpretation, preservation, documentation, and presentation of electronic evidence derived from digital sources”. 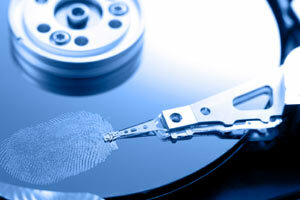 The functional objectives of the digital forensics profession cannot be overemphasised. In the absence of appropriate legislation, the profession is rendered useless, leaving miscreants to continue with their heinous crimes, given the unlikely prospect of arrest. In mitigation, African governments must establish appropriate policy initiatives and interventions, which will enable the resolute defence of information assets from the cybercrime scourge. Great article. I totally concur that there is gap in Africa regarding legislation pertaining to cybercrime. This has generally emanated from the reluctance by various countries’ law makers to introduce such laws, citing the infrequent occurence of cybercrimes. However, this isnt true, based on the various reports on internet fraud and related offenses on the continent. I look forward to the publication of the entire paper by Farai.